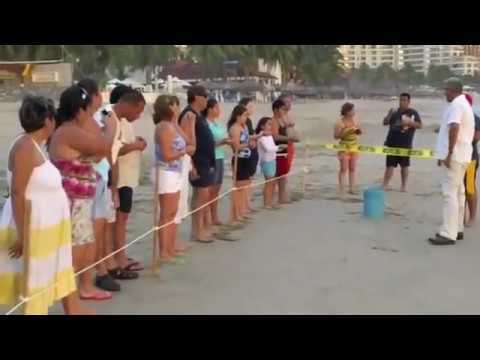 As part of the turtle conservation program at Sunscape Resorts' Dorado Pacifico Ixtapa Resort, staff members work hard to protect any baby turtle eggs that are layed on the beach. Recently, 87 baby turtles hatched at the resort. Watch this video of our guests who had the opportunity to help release these tiny creatures back into their natural habitat! Sunscape Resorts' Sunscape Dorado Pacifico Ixtapa is a new all-inclusive resort in Ixtapa-Zihuatanejo, Mexico. Want to share in this unique experience first-hand? Let Celebrations International Travel's agents help today!